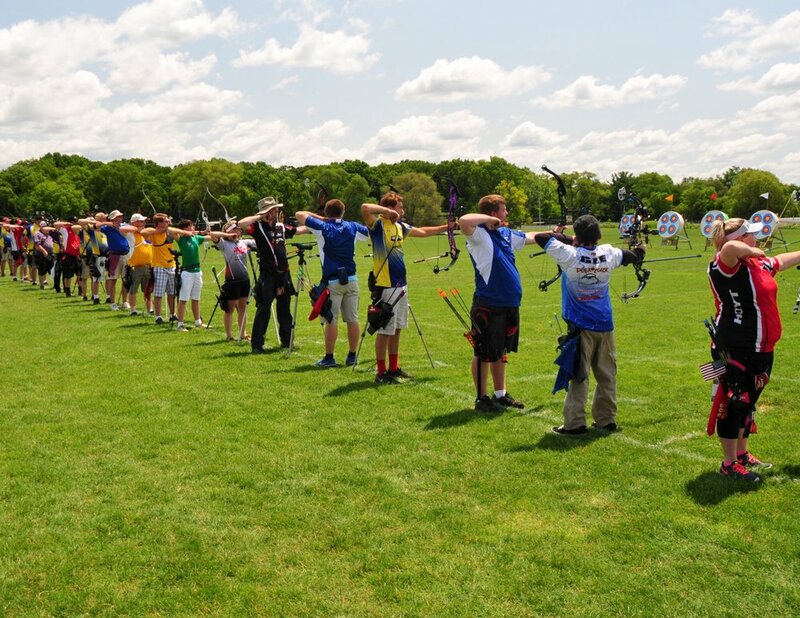 The West Michigan Archery Center will host a target archery event for the 2019 State Games of Michigan Summer Games. The event will take place on June 22-23 at the West Michigan Archery Center, with a 144 arrow multiple-distance FITA tournament format.. This event is also a qualifier for the State Games of America tournament in Virginia at Liberty University on Aug 1-4. This will NOT be a STAR-Fita event - participants do NOT need to be members of USA or NFAA archery, as in past years. On-site (walk-in) Registration is dependent upon available space, and will be announced after June 18. Due to the challenges of setting up the field and electronic scoring tables for walk-in registrations, entry fees for walk-in will be $60 for youth divisions, $70 for adults, if open at all. The event will follow FITA rules for shooting order, times, and equipment, but will NOT require FITA-based dress code requirements (other than requiring close-toed shoes and no inappropriate or offensive printing on clothing, at discretion of tournament director) or membership in USA Archery or the NFAA. Equipment must meet FITA rules, with arrows having a diameter of 9.3mm or less, and bows having draw weights of 60 lbs or less. All rules and regulations will be posted on the web-site listed below prior to the event. Because of the length of the tournament, and likely field conditions, participants are welcome to bring outdoor chairs and easy-ups. Snacks and lunch items will be available for purchase at the event. An awards ceremony will take place immediately following the completion of shooting on Sunday. A flyer with all details, including a “Frequently Asked Questions” section, is available HERE.